Our unique night-time formula combines a slow-release blend of milk protein, micellar casein, whey concentrate, and egg white powder, to help grow and maintain muscle1 — all while you sleep. 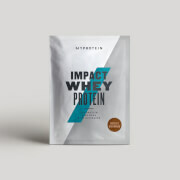 With a massive 39g of protein per serving, helping you to grow and maintain important muscle,1 it’s vital for all fitness goals — whether you’re striving for bigger lifts or a faster track time. It also includes the essential minerals zinc and magnesium, designed to support the immune system2 help normal sleep patters — so you can wake up feeling refreshed, both physically and mentally,3 for the next session. 3. Zinc contributes to normal cognitive function. When to take Overnight Recovery Blend? It’s slow-releasing, so we recommend adding 2 1/2 scoops (60g) to water or milk 30 minutes before bed. What does Overnight Recovery Blend work well with? After your Overnight Recovery shake the night before, wake-up with Thermopure — our ultra-formula of essential vitamins and popular researched ingredients including caffeine, green tea extract, cayenne powder, and black pepper extract — boosting your everyday wellbeing. Chocolate: Tapered Night Protein Blend (Milk Protein Concentrate, Whey Protein Concentrate, Whey Protein Isolate, Calcium Caseinate, Sunflower Lecithin, L-Glutamie, Magnesium Oxide, L-Typtophan, Natural & Artificial Flavoring, Cocoa Powder, Acesulfame K, Sucralose, Salt. 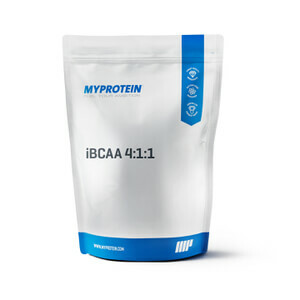 Slow release protein blend with added amino acids. 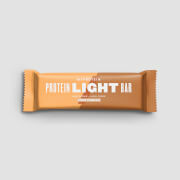 Chocolate flavor with sweetener.Slow release protein blend with added amino acids. Strawberry flavor with sweetener. 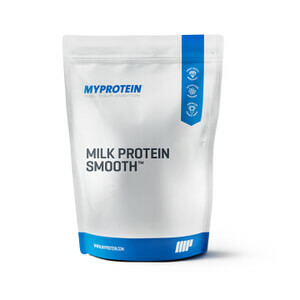 Slow release protein blend with added amino acids. Vanilla flavor with sweetener. 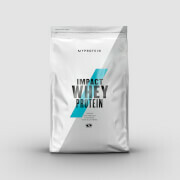 Slow release protein blend with added amino acids. Cookies and Cream flavor with sweetener. I've tried three flavors, strawberry, chocolate, and vanilla. Strawberry is my favorite and vanilla by least favorite. I usually just mix with water to keep it thin enough to chug, but its been good with regular and almond milk as well. I find it filling and it takes any "edge" off. I love the tryptophan and how it relaxes me. Taken with ZMA and I'm out in 20-30 minutes and feel very refreshed the next day. I really believe this has helped with my recovery from a day of heavy lifting. I'm very pleased with this product. I am always trying to find an affordable way to increase protein and recover more quickly. At 47 I'm no youngster and I started noticing my lifts are getting harder to manage. 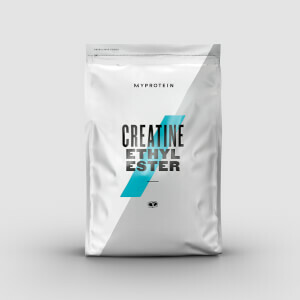 After a week taking this extra protein at night and mixing 5 grams of creatine in it, I've noticed improvements on all my lifts and the added benefit of a better sleep. No, the taste isn't world class but if you want a milkshake I'm thinking you are probably not drinking it for the right reasons. I go with the Vanilla because you can mix it with more things, OJ, water, Almond milk, etc. and it will work just fine. Unlike the others I have had no problem with the mixablility of this project. Just mix, drink, go to bed, and smash your next workout! I got the Chocolate Smooth flavor and LOVE it! I usually mix it with 1/2 cup of cashew milk and 1/3-1/2 cup of drinkable yogurt, add some ice cubes and blend it - the consistency is absolutely perfect, not to mention that if you put it in the freezer for a couple of hours it turns into one of the best healthy ice-creams! My only negative comment would be that - for my taste - it's a little bit too sweet, but I guess that's a personal preference (I usually need to add some dark cocoa powder to make it taste bitter). The strawberry was on sale so I got it. I like the idea of casein protein with tryptophan and melatonin added to help sleep. But this stuff is hard to drink, especially if you use the two scoops like it recommends. It is so thick and it tastes like medicine, I had to back of and use just one scoop to make it tolerable. Maybe one of the other flavors is better but I think I will just drink another casein protein drink and take a melatonin pill before going to bed. I think we need to be blunt here on why we would take this. People expecting this to be the most mixable best tasting thing ever are going to be disappointed. That said, this is a cost effective way to supplement macros in before sleeping for it's purpose, recovery. Here's a tip too, don't mix this in blenders - use a large mason jag and shake it up. Done. Take, recover, repeat. I have no qualms with this product in that sense. I don't expect protein shakes to taste like a milk shake but the strawberry version of this stuff is very hard to drink. Mixed even with milk it tastes like medicine and is very thick.I can't verify quality of protein as good or bad but I can verify that the taste is BAD. I ordered the chocolate smooth. It mixes well in a shaker cup, but when you're done mixing, ditch the lid and go for a spoon. It has the consistency of cake batter, and kind of tastes like it too! Not bad. Smells a bit like powdered vegetables but once you mix it up it's fine. I use it with 16oz of vanilla almond milk in a shaker cup and it comes out relatively smooth. The shake is so thick it isn't drinkable, more thick than any gainer shake I ever had.